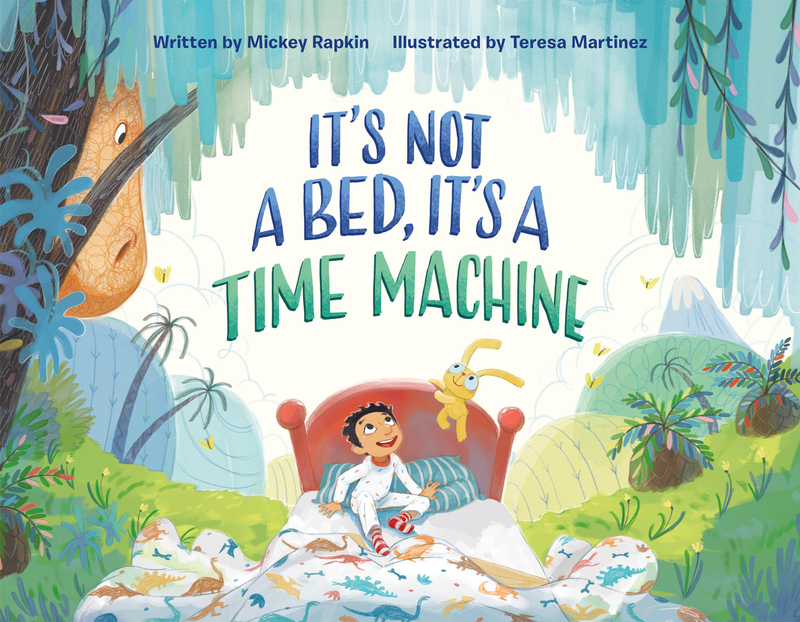 In this clever picture book, a young boy anxious for bedtime discovers his bed is a time machine! Bedtime means lights out, with dark corners and spooky sounds. But it also means . . . Adventure! Because it’s not a bed, it’s a time machine. Our hero rides it to the coolest time of all—the age of the dinosaurs. He makes a tyrannosaurus-sized friend, who helps him become the Boss of Bedtime. While tonight’s sleep will span millions of years, it’ll feel like it’s over in the blink of an eye. Mickey Rapkin is a journalist and screenwriter whose first book, Pitch Perfect, inspired the hit film series about a cappella singing. Previously a senior editor at GQ, he is the author of Theater Geek, and has written for The New York Times, ELLE, Bon Appetit, and National Geographic Traveler. He lives in Los Angeles when he isn't time traveling. Teresa Martinez was born in Mexico. She was a very shy girl at school, and drawing helped her connect with other children. When she grew up she studied graphic design and started illustrating picture books. Now she lives in Puerto Vallarta, Mexico, drawing for kids as she did during her school days, and that makes her happy. Her books include The Little Girl with the Big Voice and The Halloween Tree.